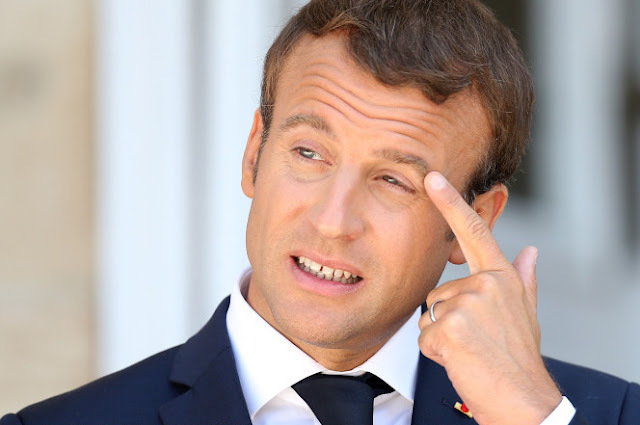 During his first three months in office, the 39-year-old French President Emmanuel Macron’s personal makeup artist, Natacha M., has billed the Elysée Palace 26,000 euros – more than $30,000. Former President François Hollande was accused of “shampoo socialism” — shelling out 30,000 euros for makeup per quarter, along with a monthly bill of 9,895 euros for a personal barber, Le Canard Enchainé reported. I'm sure he's giving it all to his walking corpse bride to make her look like she's only in her late fifties.